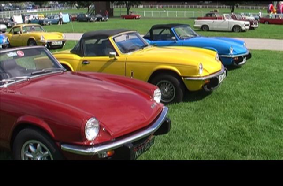 Despite being a feature mainly on the Spitfire and GT6 quite naturally covers the Triumph Herald to a fairly large extent. 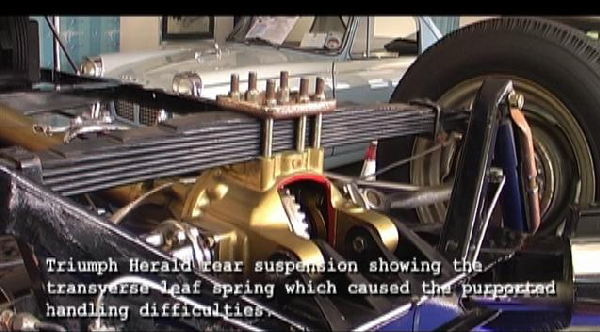 And as it is being released during the 50th anniversary of the Herald it is fitting that the chassis engineer on the Herald gives us his insights into the development of this car within the extra feature 'The Men Behind The Motors'. 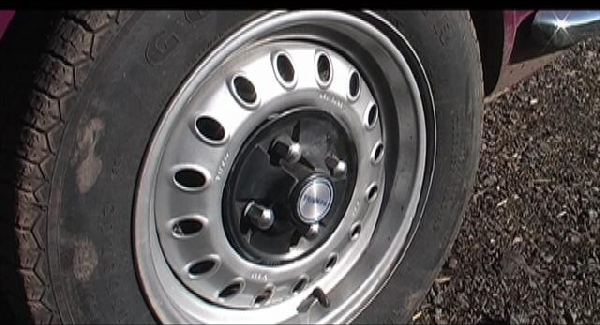 The main disc runs for approximately 80 minutes, the extras disc about 90 minutes. 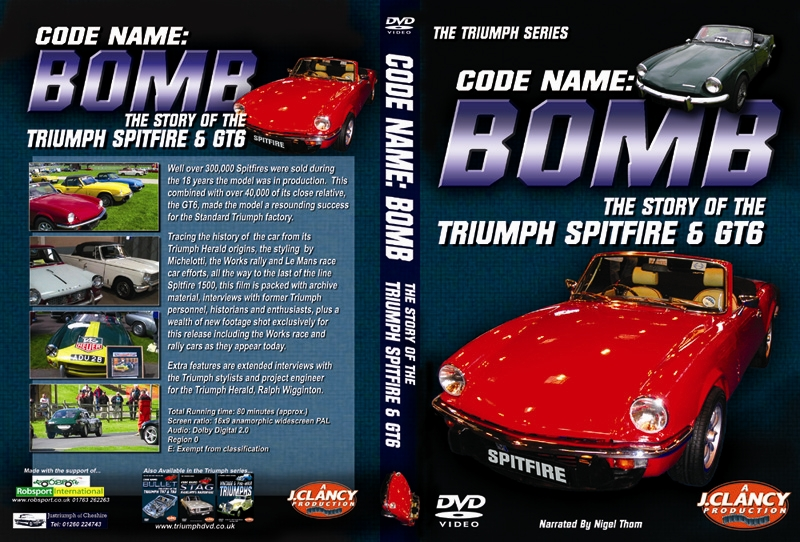 Graham Robson - Triumph Competitions Secretary at the time of the Spitfire programme. 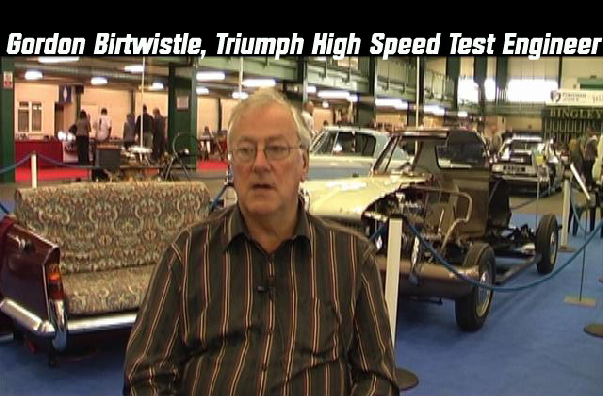 Gordon Birtwistle - Triumph High Speed Test Engineer and 'Deputy Competitions Supervisor' during Spitfire race and rally period. 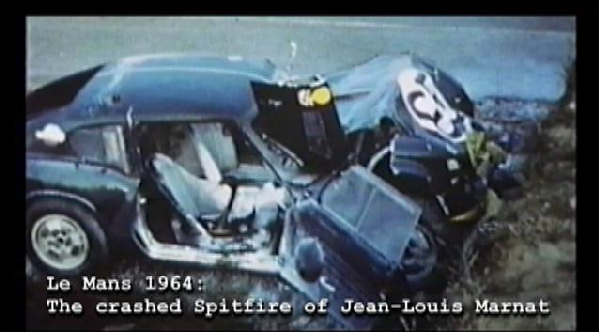 Tony Lee - Chief Development Engineer. 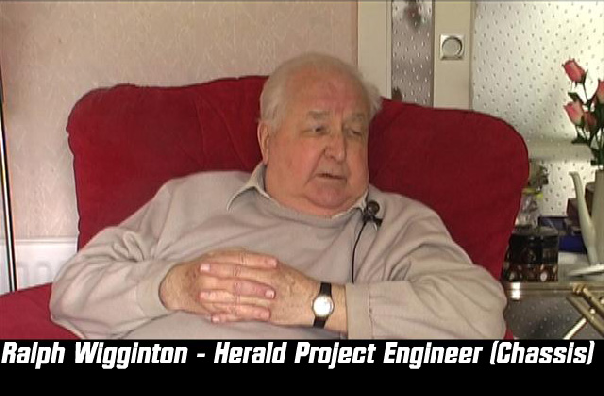 Ralph Wigginton - Herald Project Engineer (Chassis). 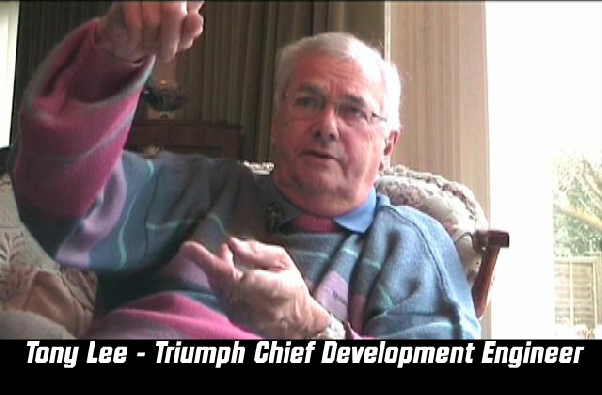 Dave Keepax - Triumph stylist and the man responsible for (amongst many other things) the wonderful instrumentation for all Triumph models from 1966 to the end. 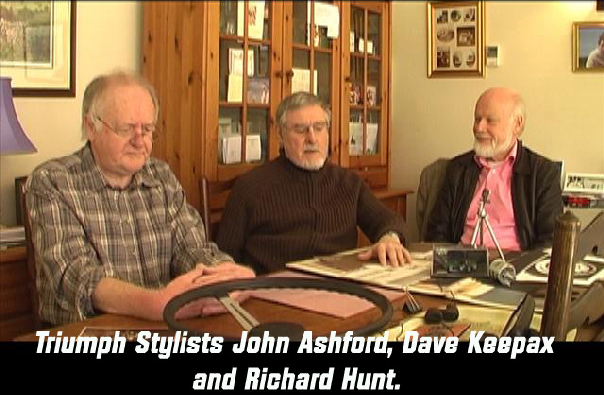 John Ashford - Triumph stylist. 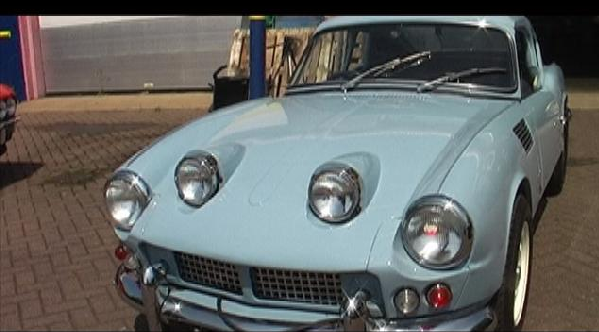 Richard Hunt - Triumph stylist. 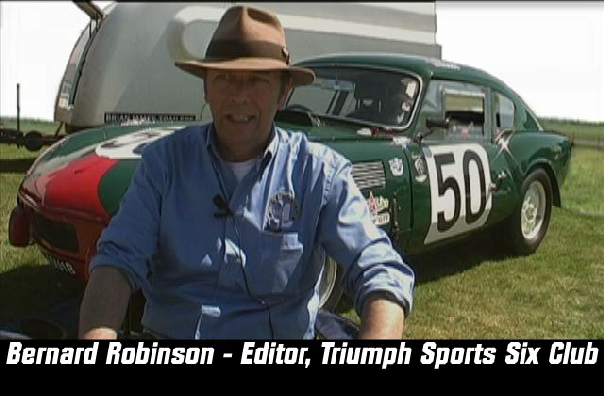 Bernard Robinson - editor of the Triumph Sports Six Club magazine 'The Courier' and Works Triumph historian. 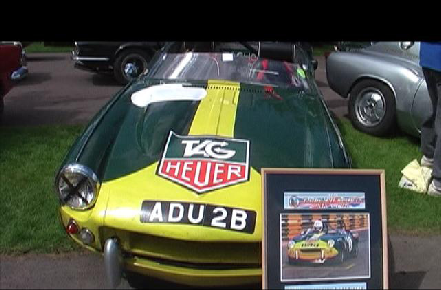 Mark Field - Jigsaw Racing Services and owner of ex-works rally car ADU 7B and the reconstructed race car, ADU 1B. 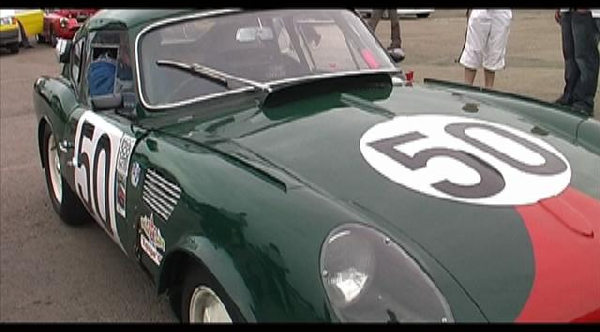 Dave Pearson - Canley Classics who not only owns the ex-works race car ADU 4B but also the Macau Racer and houses Bill Bradley's rally car ADU 5B. 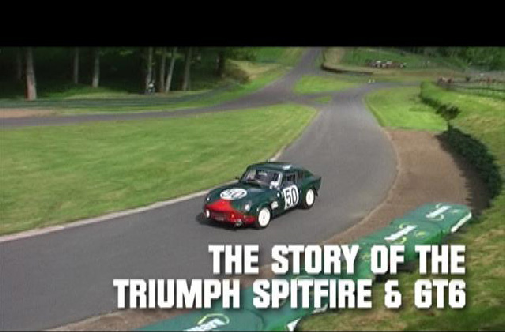 A short preview of the 'Vintage & Pre-War Triumphs' DVD. 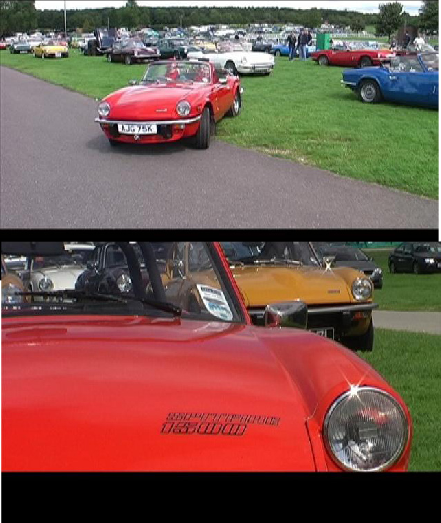 TRIUMPH SPORTS SIX CLUB INTERNATIONAL 2009: A tour of the site in the company of two former Triumph personnel - Gordon Birtwistle and Dave Keepax. 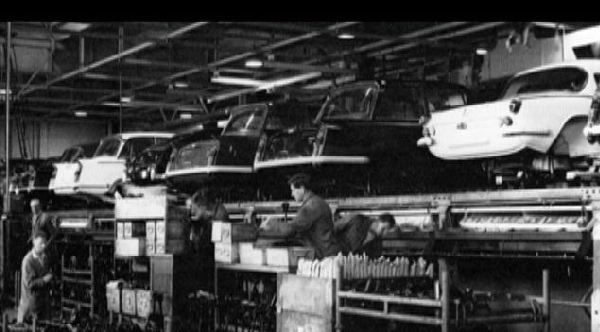 A DAY AT CANLEY CLASSICS: Dave Pearson shows us all the important Spitfire's, GT6's, Herald's and other cars housed at the Canley Classics premises. 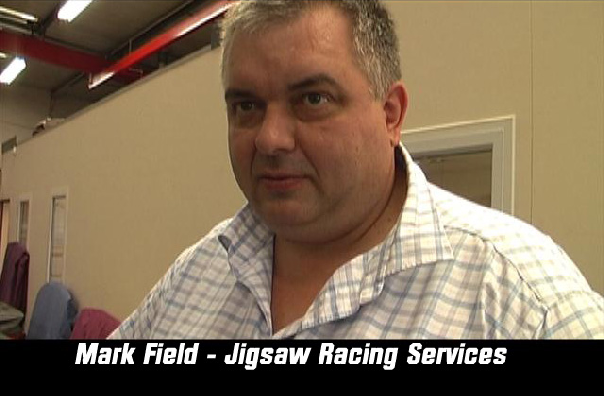 A DAY AT JIGSAW RACING SERVICES: Chris Loveridge and Mark Field show us the work they do and the famous Spitfire's they own. 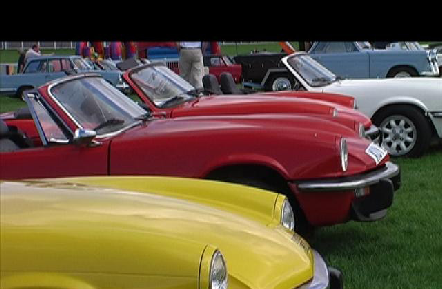 ALL-TRIUMPH RACE MEET 2009: The sights and sounds of all the race Triumphs at this fabulous meeting. 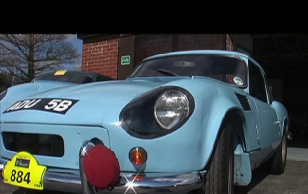 TRIUMPH SPORTS SIX CLUB HQ: Bernard Robinson gives us a tour of the Triumph Museum at the club's headquarters in Lubenham. 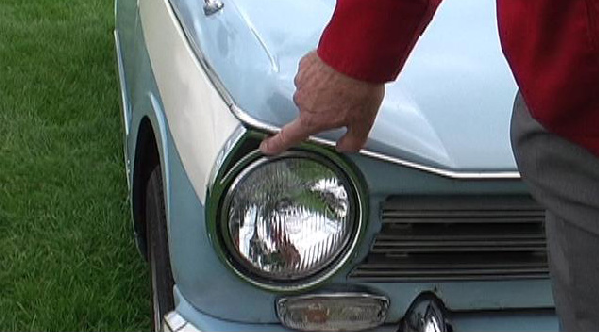 MORE MEN BEHIND THE MOTORS: An interview with Gordon Birtwistle about his Herald and Spitfire days within Standard Triumph. 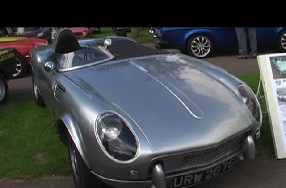 NEW FOREST RUN 2009: All the Triumphs on this fabulous drive through the Hampshire countryside as filmed by John Davies. 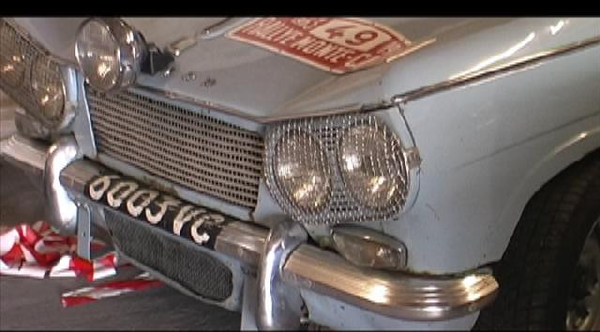 BERNARD'S MACAU RACER REPLICA: Bernard Robinson's outstanding reproduction of the famous race car. 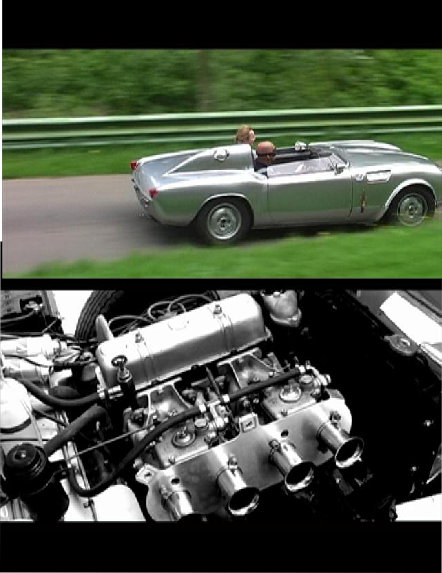 PREVIEW TIME: The trailer for 'Code Name: Stag - Michelotti's Masterpiece'.